I'm so thrilled to be able to share my story over at lymelightstories.com! "How long do you believe you have had Lyme/tick-borne illness?" "What types of treatments have you tried?" "Any advice for someone newly diagnosed with Lyme?" I'm amazed at how Lyme Disease manifests itself in each individual so differently. We truly are unique with different needs and considerations when it comes to treatment. 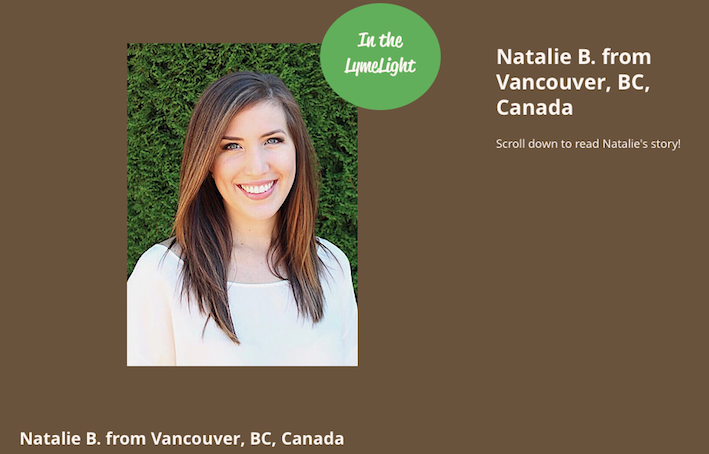 Click here to go to my Lyme Light Stories post! There have been a lot of new changes recently and yet, this is one of the first times my life has started to feel stable again. It’s really amazing to look back on the past eight months and see just how far I have come since my Lyme was triggered. And then I think about just how quickly things have improved since I started treatment only four months ago! It’s a night and day difference and has brought me to tears more than once. Lyme may have knocked me down for a little while, but I won't surrender. I’ve even been able to take the kids to appointments without Zach and got out for a playdate. I’m not taking those regular things for granted anymore. That being said, with a morning outing I know I need to schedule in a nap after, and I still can’t do more than one or two things a day, but it’s a huge improvement from curling up on the couch for hours in agony and being too anxious to leave the house. I’m so thankful for how far God has brought me so quickly! For the first time, I was well enough to take the kids to visit Zach at his fire hall! It was really nice to get out of the house with the kids again! Yesterday, Zach and I celebrated our 9 year wedding anniversary! I’m so thankful for him and how sensitive he’s been towards me; God knew what I needed in a husband! He’s been so patient and compassionate with me through all the years I’ve been sick but undiagnosed, and even more so since we found out about the Lupus and Lyme. I can’t publicly praise him enough for carrying me through so many rough seasons. To celebrate, we spent the day as a family at the zoo. I was a little nervous knowing it’s typically a two hour outdoor (in the sun!) excursion but I figured it would be a good test to see how much my body can do now. I was pleasantly surprised! For the most part, my body cooperated with me and we had a wonderful time. I'm looking forward to this weekend when Zach and I are going to get away together for a nice dinner and a little R&R. I was even able to push the stroller most of the time. Zach took over when I started to fade. I’m almost done my four week round of antibiotics and like expected, I’m feeling a little worse (nausea, headaches, that yucky feeling) but overall nothing too crazy. I’ve been detoxing A TON to keep the herxing minimal and I think that has made a world of a difference. I’m really very fortunate to have such a detox arsenal at my fingertips. I’m expecting (hoping) to start feeling a lot better once I’m finished these antibiotics! But it looks like I’ll be coming back to them intermittently in the future. I’ve also been cleared to ditch the SIBO diet and go back to my Ketogenic diet - hooray! I bet you’ve never heard anyone cheer about that before! It’s proving difficult to get back into ketosis (seems like everything has sugar! ), but I’m pushing through and trying to remember just how good my body felt in fat-burning mode. Not to mention I lost weight easily for the first time in my life (would you believe 25 lbs in those 3 months?) because the inflammation has finally started to subside. I don’t plan to follow the ketogenic diet forever, but it sure is what my body needs right now while I am sick. And the new treatment I just added to my protocol is Major Autohemotherapy - MAH. 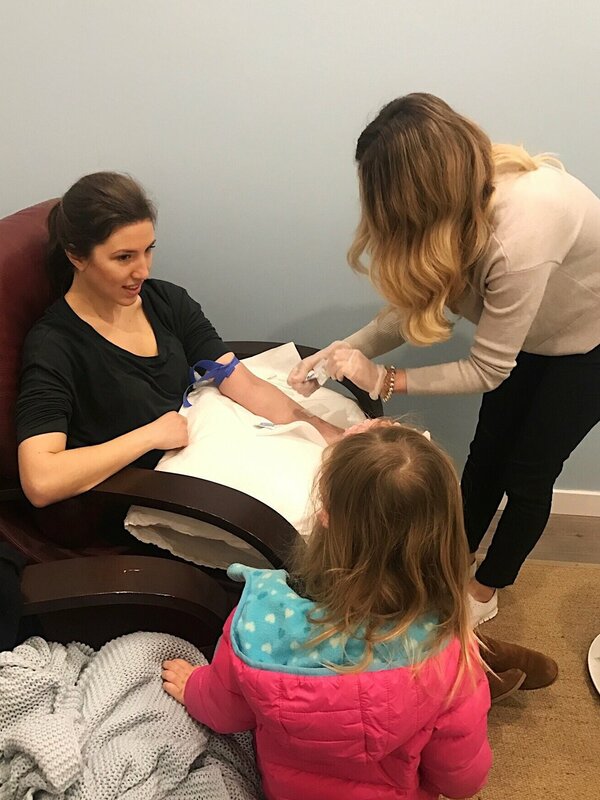 It’s an IV treatment where they draw your blood, mix ozone gas into it, and then drip the product back into your veins. It’s helpful for supporting your immune system so that you can fight infections with more oomph and also oxygenates the environment so borrelia cannot survive. I thought it would be more uncomfortable than it ended up being, it was actually pretty painless! The biggest obstacle for me was getting past the fact that I was doing this because I’m sick; it can be hard emotionally to sit through treatments and think about the fact that I actually do have Lyme. And an hour and a half is a looooong treatment! It takes a while because we also do a Myer’s drip to provide the vitamins and minerals necessary for the ozone therapy to be effective. Ozone gas is incorporated into my blood before putting it back into my body (you can't straight up inject ozone gas). This is what it looks like for the lab tech to mix ozone into the blood. It changes the colour to bright red! I was actually blown away at how much better I felt the day after. I did so many little tasks and chores that I even mentioned to Zach how I felt like a regular healthy person again! It’s really exciting to see the positive changes so quickly! In moments like these, I’m so hopeful that I will be healed through medicine. I know I just need to keep going, keep appreciating the healing process, and keep my eyes focused on what is to come. Please don’t stop praying for us! A HUGE thank you to everyone who came out to BC Lupus Society's Lupus Walk today! It was a gorgeous day to get outside and raise awareness for Lupus - a disease that affects around 3.5 million North Americans. I'm so thankful to my friends and family that were able to show support by walking with me, as well as the many people who couldn't be there but support me none-the-less! We came prepared slathered in sunscreen and this year Brooklyn and Caleb got their own shirts! I made it around the whole walk with ease and even a little kick in my step. Admittedly, even after an afternoon nap, I'm struggling a bit this evening (pain, headache, dizziness, nausea, fatigue) but it was nice to spend some time with loved ones outside. Here are some highlights from our morning! Treating chronic Lyme Disease is a very complex task! There is no simple medication, diet, or anything you can do by yourself to heal. And since Lyme Disease affects each individual so differently (like neurologically causing seizures compared to organ failure like me), everyone has to be treated on an individual basis. This is why there are so many protocols (and variations of) instead of a “silver bullet” medication. 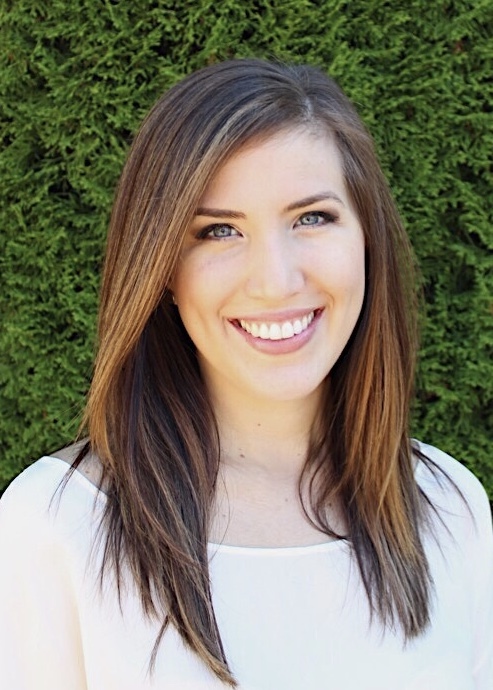 I am so thankful to have such a wise Naturopath in Vancouver who has healed many people with Lyme Disease as well as the best Naturopathic team in Burnaby heading up all of my treatments. There is a huge arsenal to draw from so we can choose what will be the best for my body (and my children). This is where it gets a little complicated. I want to share my current protocol with you because I believe it helps you understand me better when you have a snapshot into what my life looks like with Lyme Disease. I also hope that for other people living with chronic illness, you can see similarities and differences to what treatment you are receiving so that you can ask your own doctor what is best for you. I’ve found so much inspiration from researching what other people have done so I know that sharing is invaluable. I'm so thankful that these treatments have been helping me to feel more like myself again. I can feel my body healing. Detox, detox, detox! My life basically revolves around detoxing and supporting my body in the methylation pathways that it is lacking (which I found out from the 23andMe genetic test). My body has not been able to flush out toxins properly on its own so I need to help it along. I can’t emphasize enough how much better I feel since detox has become a major part of my regime! Diet: I focus on eating organic produce, local meat, farm eggs, and typically follow a ketogenic diet. Choosing to eat this way has helped to keep my inflammation under control while being nutrient-dense with limited exposure to pesticides and chemicals. I definitely don’t want to be adding in any more toxins! Detox baths: Every few days, I will have a nice hot soak in the tub (at least 30min) with a bunch of epsom salt, some baking soda, and essential oils (I like lavender or frankincense) to draw out toxins. Infrared sauna: A good sweat goes a long way. The far infrared radiation helps to eliminate toxins that are stored in your fat cells by sweating instead of burdening the liver and kidneys. I actually feel noticeably better after using the infrared sauna! Silymarin: Also known as milk thistle, this supplement supports your liver which is charge of detoxification. Burbur-pinella: This brain-nerve cleanse helps for neurological problems (like brain fog) as it helps your body detox and keep herxes under control. You can take extra when herxing! Parsley: This extract helps to open up detox channels. Methylcobalamin: I have been self-injecting this methylated form of B12 (because my body is unable to make that conversion properly) as well as oral supplementation to help support my nervous system (brain) function and combat the chronic fatigue. 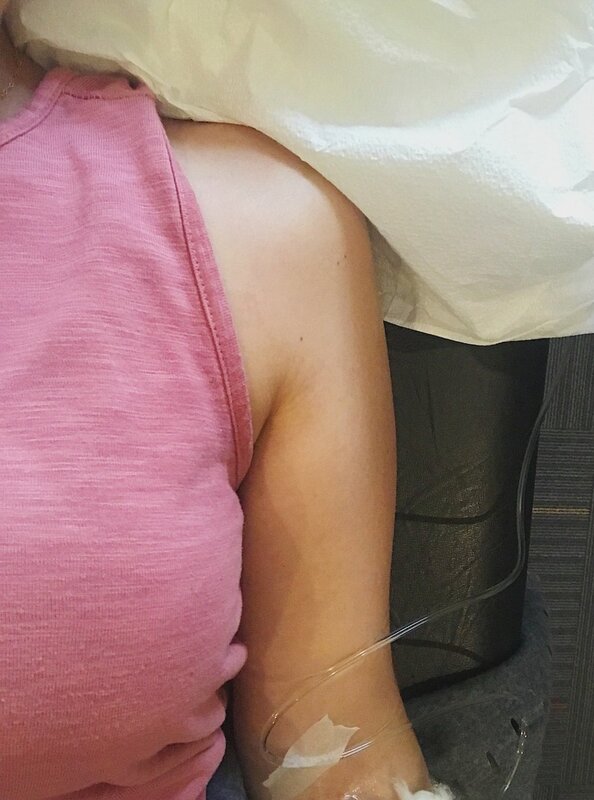 Myer’s Cocktail: I’m still receiving IV treatments to help my body absorb vitamins and minerals more effectively while I am healing. I never thought I'd look forward to an IV! The Myer's cocktail has been a game changer for me. I’ve mentioned before that Lyme pain is serious pain. I’ve especially suffered with extreme back/spine pain and muscle spasms, headaches/migraines, and nerve pain in my feet. I’m a big fan of this list of holistic forms of treatment because they don’t add more chemicals for my body to detox. Acupuncture: This has been a recent addition to my protocol and it is already helping significantly. I used to receive acupuncture when I was in University and I think that is what kept my Lyme under control at that time in my life. Chiropractor: Making sure my body is aligned is one of the only things that helps with my back pain and headaches. Deep Blue Rub: I apply this DoTerra essential oil cream to my back, neck, and shoulders when I am in pain. The first time I used it, it took my pain level from an 8 down to a 4 in about 15 minutes! CBD oil: Dr. E Murakami (MD) has been researching the benefits of hemp CBD oil (legal in BC where I am without a prescription) for Lyme patients. Not only is CBD oil amazing for pain management, anxiety, cancer, and seizures, but it has also been found to kill borrelia spirochetes and break through biofilm. In case you just missed that, CBD oil has been found to have antibiotic-like properties that KILLS LYME. No wonder Dr. Murakami is called “BC’s Lyme Saviour”. This oil has been the most significant for me with pain; I had a migraine disappear 10 minutes after a dose. Low Dose Naltrexone (LDN): This prescription immunomodulator is great for decreasing pain and inflammation. Used often for autoimmune disorders (like Lupus!, RA, MS, Crohn’s, Hashimotos), neurodegenerative diseases, cancer, HIV/AIDS, hepatitis, autism, and pain conditions (like fibromyalgia or chronic migraines). Neural Injections: We’re going to inject some of my scars (like my big c-section scar from Brooklyn’s birth) to help break up interference fields that cause problems like disautonomia, reset the action potentials for my nervous system, and clear out scar tissue where borrelia likes to accumulate. While many of my efforts are to control symptoms, we’re starting to fight back now as well. Not only am I battling borrelia, but also other (less significant) opportunistic infections, and small intestine bacterial overgrowth (SIBO). BUT PRAISE BE TO GOD that all of my Lyme co-infection tests came back negative!!!! This is a HUGE blessing. Serrapeptase: To kill spirochetes (the active form of borrelia), you have to first poke holes in their biofilm. The biofilm is like a coating the bacteria uses to hide and protect itself. I’ll take this about 20 min before the “killing” tinctures. Samento + Banderol: These are herbal antimicrobials that I’m using to kill Lyme. And just because they’re herbal doesn’t mean they’re weak — I’ve only been increasing my dosage by 1 drop a day (each) with the flexibility to scale back if I start to herx. Rifaximin with Biogest, HCl, and LDN: What’s a doctors appointment if I don’t come away with a new diagnosis added to the list? I wasn’t surprised to learn that I have SIBO but I am so happy that I’ll be able to treat it right away! After a couple of weeks of treatment, I’ll work on healing my gut with GI Revive and a low FODMAP diet (yeah you read that right, another diet…). Typically, bacteria are not supposed to hang out in the small intestine (they should be in the large intestine!) and when they get lost, it creates havoc with your ability to absorb nutrients properly, can lead to leaky gut, and causes discomfort and bloating. Plaquenil: I’m really fortunate to have been taking this prescription to manage my Lupus activity because it also acts as a cyst-buster for Lyme! Two birds, one stone. Azithromycin, Ceftin, and Nystatin: After 2 weeks of SIBO treatment and a break week, I’ll be getting started on antibiotics to treat the borrelia. CBD oil: Breaks through biofilm and kills spirochetes! It’s a lot, I know. And after doing all of these things for a while, I likely still won't be healed, but I hope to be feeling a heck of a lot better! And there’s still time in the future for heavy metals testing and ozone therapy (Major Autohemotherapy - MAH). In the meantime, I will continue to fight as hard as I possibly can to do everything in my power to restore my body. Every day feels like such a fight, and it brings me down often. But in my weakness, God can be strong. A friend texted me an encouraging verse the other day and it brought tears to my eyes because even in this storm, this horrible season of seemingly endless suffering, I still feel God’s presence. I know God is right here with us, he loves us, and he wants to heal us. I have seen Jesus heal people in the Bible and I know we will one day be healed too (even if we have to wait for heaven to be restored). I have a supernatural sense of peace in his plan for our lives and his perfect timing. I am so thankful for that. Praise God for his mercy in our lives. It takes a lot of grit to live life with joy in the face of chronic illness. Let's do life together! I only have good news to share.